I currently hold the Guinness World Record for being the world’s fastest henna artist. I first started experimenting with henna when I was 15 and broke the world record when I was 21. Upon receiving the world record, I approached Eastenders about doing henna for the Asian family that appeared on-screen. This was a great success and led me to working with various celebrities including Alicia Dixon, Ellie Goulding and Perrie Edwards. I had a lot of people saying how much they loved my work but didn’t know where they could get it done which is where I came up with the idea of opening a henna bar. As a British-Indian girl, my goal from the beginning has been to make henna accessible to everybody regardless of their culture or race. 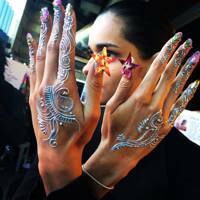 In the same way you get you get your nails or eyebrows done, I want henna to be another step in your beauty routine. At the Pavan Henna Bar, we offer many different styles from classic black and brown to white and unicorn henna, and it is all non-toxic, vegan-friendly and perfectly safe for the skin. My brand is quite ahead of our time so changing people’s perceptions is a heavy task. We have faced backlash with people criticising us for culture appropriation which I can’t understand. 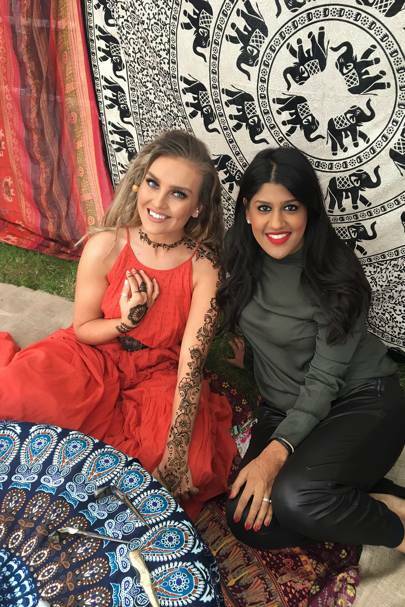 When I did henna on Perrie Edwards, we got Instagram posts saying ‘stop doing henna on white people’. I’m Indian – if I don’t find it offensive, why does anyone else? I’m not taking it to a level where it’s ever going to be disrespected or be used in an inappropriate way. I believe it is an appreciation of the Indian culture. It made me really angry because I consider London as much my home as India. If people are celebrating our culture and our beauty regimes, we should embrace that. Our henna bar is not for one ethnic background, it’s intended for everybody. We have a strong Arab, Asian and British clientele. People come in to get henna for weddings, festivals and parties – Christmas is a very busy time! We’ve also adorned a formula one car and created window displays for Harrods. 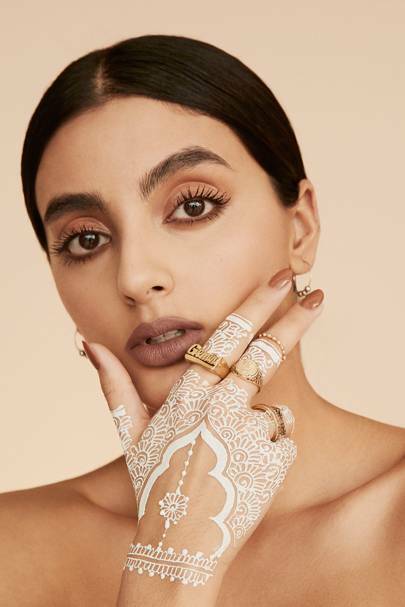 It’s about showing how henna can be used in so many different aspects but making it accessible to everybody so we can all enjoy a beautiful Indian tradition. Henna is an integral part of an Indian women’s beauty regime and has strong associations with wellbeing. It originally started off as a way to cool the skin but now it is worn for mainly decorative reasons. Henna has such a positive, beautiful meaning behind it – it is associated with good luck and positivity – and I want to make this available to everybody. Techniques have advanced so much in recent years and I believe our brand is advancing it even further. It’s not always easy turning your passion into your career but I’m on a pursuit to make Pavan the go-to brand for henna treatments. Whether you want the luxury bridal adornment or a quick fix before a festival, I want us to be the number one brand. There are so many Indian techniques that have come to the West such as turmeric in your latte or Indian yoga – henna is up next!